Different shopping tools were presenting Steadfast as something people who liked ZEUS or Suavecito would also appreciate. It was just a question of time before I bought a jar and tried it. 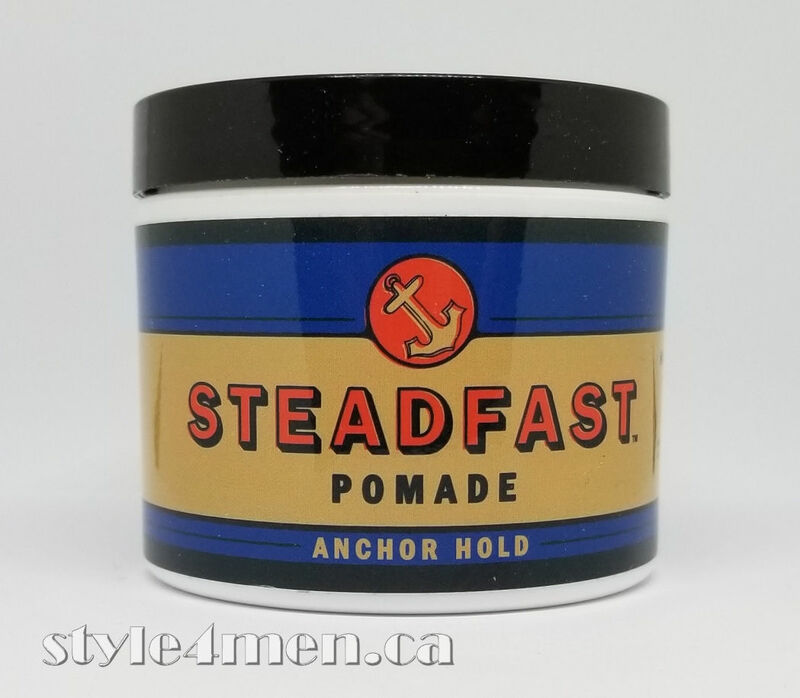 Well friends, this pomade is the real deal. It’s one of those lovely little finds. A gem for your hair. The jar is fairly discreet and almost timid looking. Then upon opening the said jar, no scent is welcoming you to the party. It doesn’t smell like anything and the product is completely clear. That’s fairly rare in the pomade market. 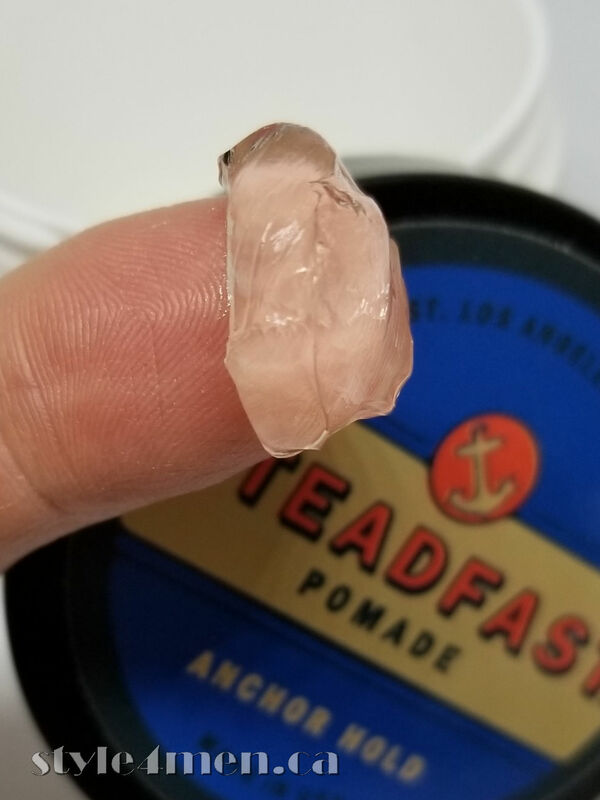 The fun starts when you get in contact with the pomade. Its a cross between a soft wax and jello. 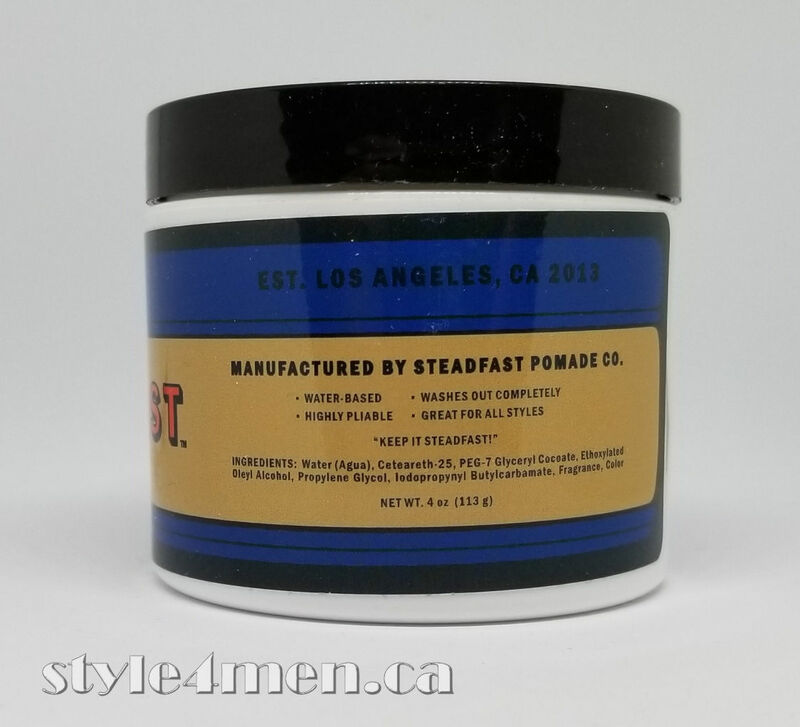 From my experience that texture has always given the best results – and this pomade was no exception. The results are perfect. Incredible hold. No greasy feeling to the touch. No crispy dry hair. A very agreeable feeling. 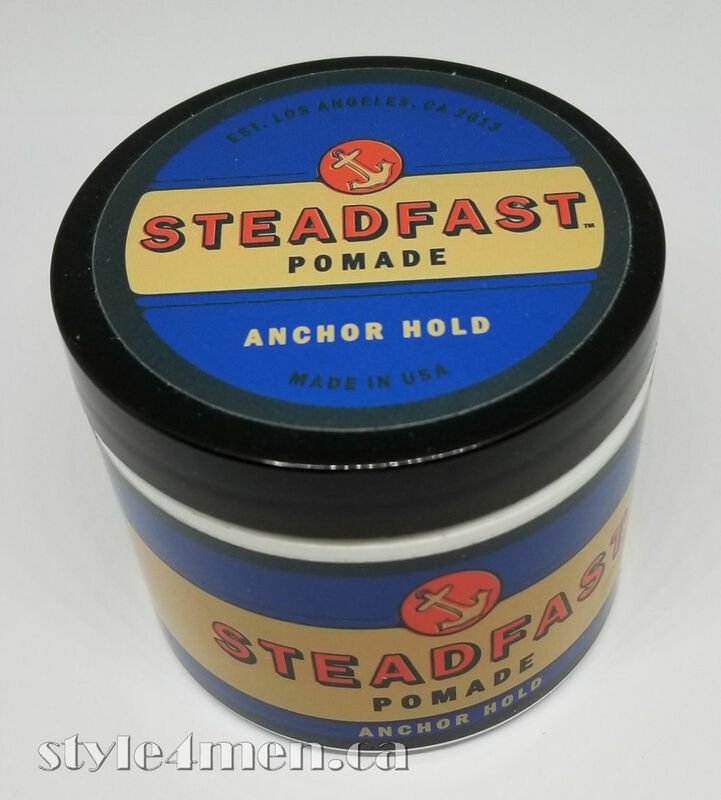 In my household it was wife approved and it is in my top 5 favorite pomades. Composed with only 8 ingredients, this pomade earns kudos for its simplicity and straight forwardness. For anyone with aversions to lengthy chemical parties, this is sure to make you smile.